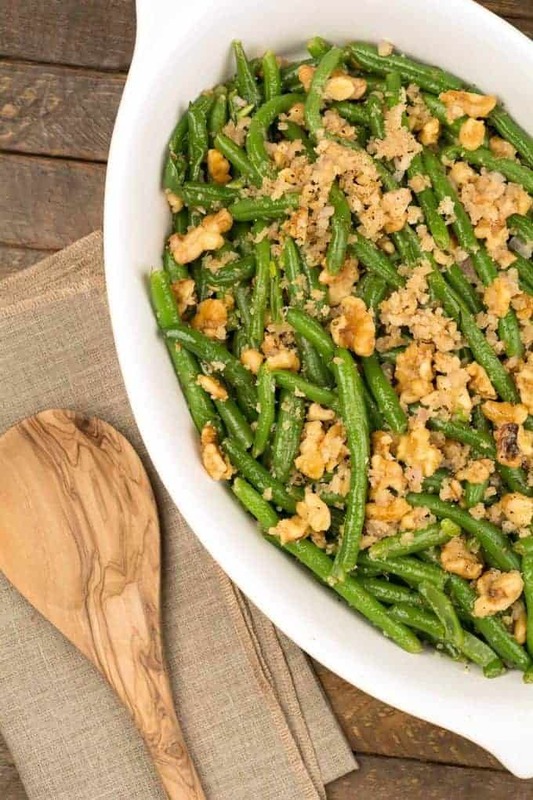 This recipe combines the natural sweetness of oven-roasted green beans with sautéed shallots and toasted walnuts to make a versatile side dish that pairs well with a wide variety of entrées. 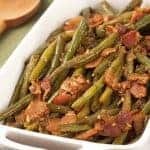 Oven-roasting green beans gives them a slight sweetness that pairs perfectly with the sautéed shallots and toasted walnuts in this versatile side dish. Preheat the oven to 425°F and coat a large rimmed baking sheet with nonstick spray. 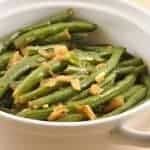 In a large bowl, toss the green beans with 2 tablespoons of the walnut oil and season with salt and pepper. Spread the beans on the prepared baking sheet and roast until lightly caramelized, 12 to 15 minutes. 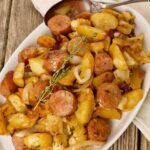 While the beans are roasting, heat the remaining tablespoon of walnut oil and 1 tablespoon of the butter in a small pan over medium heat. Add the shallots and sauté until soft and just beginning to turn golden, 2 to 3 minutes. Add the chopped walnuts, stir to coat and cook until the nuts begin to release a toasted aroma, 1-1/2 to 2 minutes longer. Season to taste with salt and pepper. 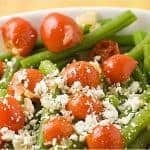 Add about 3/4 of the walnut-shallot mixture to the green beans, toss to combine and transfer to an oven-proof serving dish. Melt the remaining tablespoon of butter in the pan with the rest of the walnuts. Add the panko, combine well and spread the mixture over the green beans. Return the beans to the oven just long enough to toast the topping, 3 to 5 minutes. 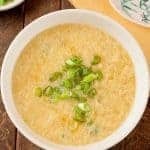 Have you ever made this ahead of time to take to a dinner? Thinking I could make everything but keep the panko mixture separate. Top the beans with the panko and bake at the last minute? Thanks for advice! 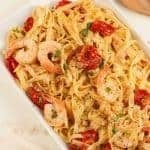 I think this dish would be fine to make ahead. You have the right idea to keep the panko mixture separate so it doesn’t get soggy. 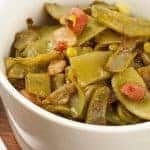 The only other suggestion I have is that since you’ll be starting with the green beans already cooked, bring the casserole to room temperature before reheating so you minimize the amount of time it will take to heat through.